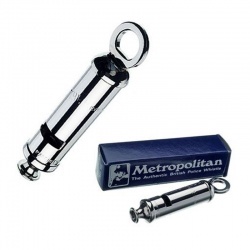 A handpicked selection of quality whistles offered with professional engraving. 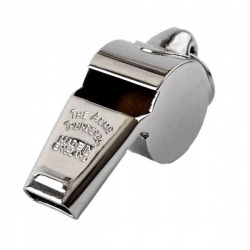 These referees whistles, coach whistles and teacher whistles are all from the renowned British whistle maker Acme and are widely used in professional and amateur sports. 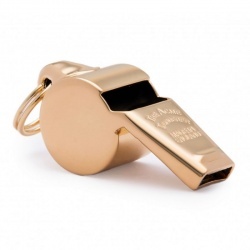 They can be engraved to create personalised whistles for referees, teachers, coaches or other whistleblowers worth recognising and commemorating. This choice range also includes an engraved silver police whistle, ideal to personalise for newly qualified recruits and police retirement gifts. 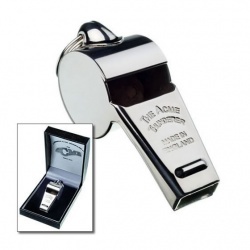 Silver Plated Thunderer Whistle in Presentation Box. 50x20mm. 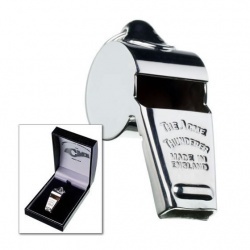 Silver Plated Thunderer Whistle in Presentation Box. 60x25mm. Small Thunderer whistle from original maker Acme. Gold plated finish. 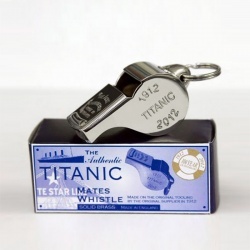 Authentic Titanic Mates Whistle, 1912-2012 edition, in nickel plated finish. Silver Plated Acme Metropolitan Police Whistle, Boxed. Small Thunderer whistle from original maker Acme. Nickel plated finish. Optional case.